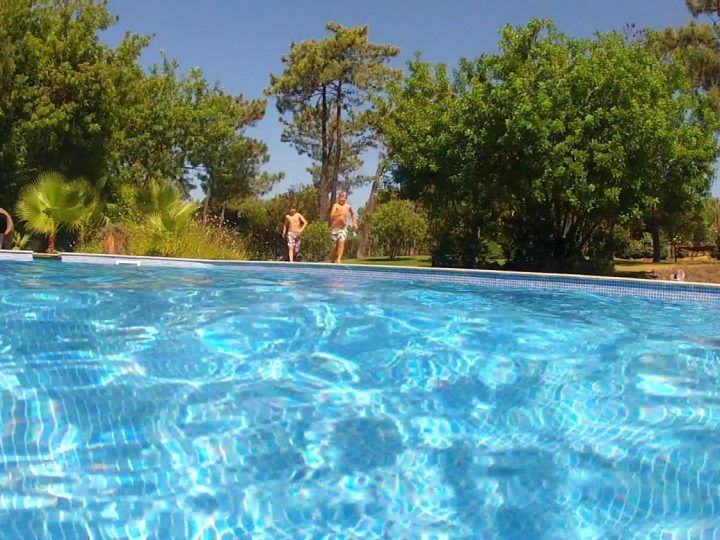 Fronheiser Pools > Blog > Pool Tips > Vinyl or Gunite: Which Is Better? Deciding on exactly what you want for your pool is an important step. You certainly can’t take it back once the installation begins, not cheaply anyway. We recommend taking the time to look at all the options and to carefully assess what’s right for you, your yard, and your budget. One aspect we help homeowners with at Fronheiser Pools is choosing between a vinyl or gunite pool. Each has its benefits as well as its drawbacks, and it’s important to have all the information before getting in too deep. Below, we’ve laid out what to expect with each across some categories you should consider. This can vary. Gunite pools typically take longer to build because they’re generally built by subcontractors who specialize in each aspect of the building, so this scheduling might result in a 6-8 week long installation. Vinyl-linered pools on the other hand commonly take around 4 weeks because the same crew does most of the work. This factor depends on where you live. In the North, gunite is going to be more expensive. This is because it will require a considerable amount more steel, concrete, and expertise to protect is through colder weather. If these measures aren’t taken, the pool will be vulnerable to cracking due to ice pressure. In the South, however, this typically isn’t an issue, so less materials and labor are needed. 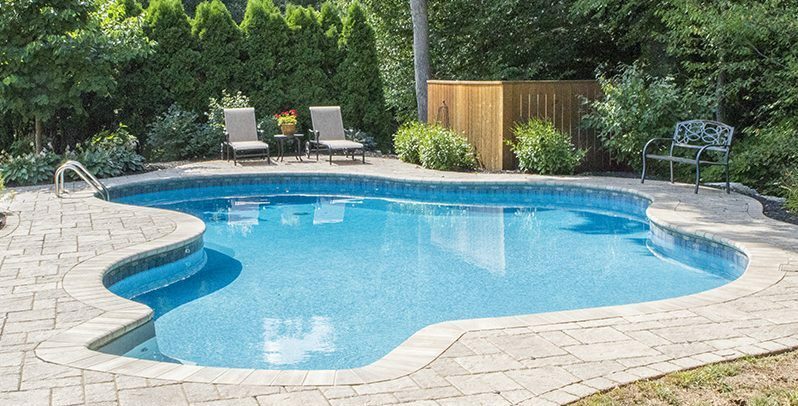 Vinyl-linered pools have enough give to not crack from ice pressure, so they’re generally the same price no matter where you are. With gunite, you have a lot of options. Since gunite is essentially a sprayed concrete, it can work with any size and shape of pool. This gives you the ability to make your pool completely unique to you and your yard. Gunite also offers a range of interior finishes. Choose from any color plaster, rocks, tiles, etc. You can choose these with vinyl as well, but you’ll instead get a rock and tile photos printed on the vinyl instead of the real thing. Vinyl can now also come in a variety of shapes and sizes, though it does take some precision to make it fit right. If your gunite is very light or very dark, you can run the risk of discoloration due to water chemistry. It can also pit and chip. This can be prevented for the most part by properly taking care of your pool and water. Vinyl-linered pools can be cut, though this is rare. For residential use, this shouldn’t be a huge issue, though if you’re planning a commercial pool, this could become problematic over time. Unless you get a hole or tear in the liner, vinyl doesn’t usually require specific maintenance other than routine cleaning of the pool. Gunite, as mentioned above, is affected by water chemistry, so it’s essential to take care of your pool and the water to keep it looking nice for a long time. Only you can make the decision for which type of pool is right for you. The main thing is to be fully educated before jumping in and to carefully weigh the benefits and disadvantages of each. At Fronheiser Pools, we install both vinyl-linered and gunite pools, as well as offer ongoing maintenance for both. Call us at (610) 845-2221 for more information, or visit us on our website.